Pennsylvania residents who are enrolled in an online program taking 50% or more of their classes within an online format may be eligible for the state grant through the PA State Grant Distance Education Pilot Program (SGDEPP). Students will be nominated by the Financial Aid Office upon registration. If a student received the PA State Grant at a prior institution, a transcript will be required to measure satisfactory academic progress in order to be awarded the PA State Grant. Manor College participates in SAGE Scholars (Savings and Growth for Education), an independent organization that awards points that can be used toward tuition reimbursement. Family members can earn points by investing with participating credit unions, banks, and other financial institutions, and guaranteed minimum scholarships are provided regardless of family and student assets. Up to one year of free tuition can be discounted from the list price of Manor College’s tuition. *Merit scholarship renewal is based on the criteria associated listed below each scholarship description. Students will receive the scholarship for a total of 4 semesters for an Associate degree program; if a student continues onto a Bachelor degree program at Manor College then they will receive the scholarship for an additional 4 semesters. If a scholarship is forfeited due to the GPA requirement, it will not be reinstated in future semesters. Partial scholarships* cover partial tuition costs for the freshman year. Renewable for the length of the full-time program as long as the specific credit and GPA requirements are met. All scholarships are competitive. Partial Tuition Scholarships are given out on a first come first serve basis so applying to Manor College as early as possible is best. A scholarship application is required and is mailed to eligible students by the Financial Aid Office. * Dual enrollment students are exempt from maximum credit limit for participation. Joseph and Amelia Bochey established this partial scholarship in 2004. Qualifying applicants must meet all Manor College requirements for a competitive partial scholarship with preference given to a student pursuing religious studies. Sister Dolores Orzel, OSBM, and her family established this scholarship in 1986 in memory of her uncle, Henry Lewandowski, a former educator. This scholarship is renewable as a Lewandowski/ Basilian scholarship. The Osinski and Keating families established this scholarship in 2003 in memory of Lorrie Osinski Keating, Manor class of 1966. The family of Stephanie Orzel established this partial scholarship in 2007. 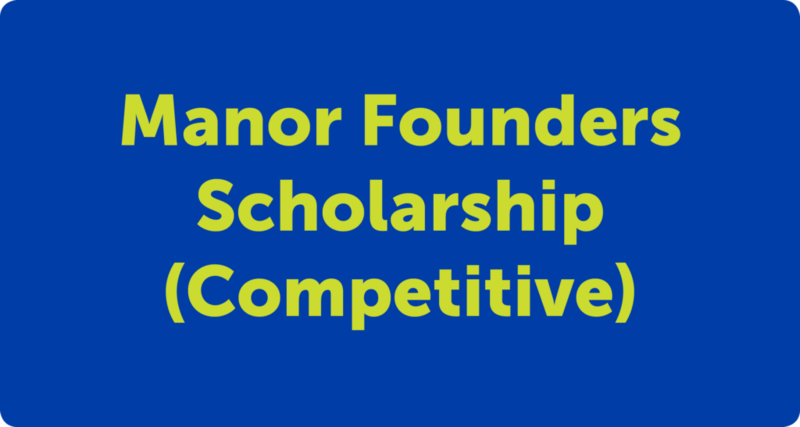 Recipients must meet all Manor College requirements for a competitive partial scholarship. This academic scholarship is renewable if a student maintains a cumulative GPA of 3.0 and completes 30 credits at Manor College during his/her freshman year. Established in 2002, this competitive, partial scholarship will be awarded to a student or students studying in a Business-related program, who is/are of Ukrainian heritage. Part-time student recipient(s) must complete 18 credits with a 3.0 GPA to renew this scholarship. The Elizabeth A. Stahlecker Endowment Fund established a partial-tuition scholarship in 1993. 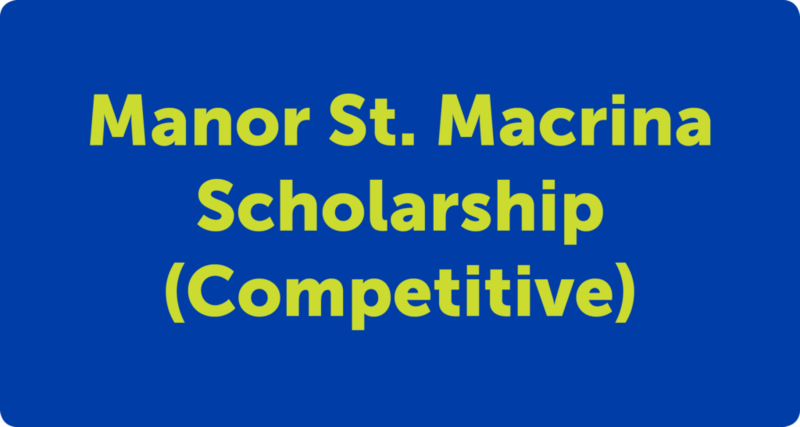 This scholarship is renewable as a Stahlecker/Basilian Scholarship. The Joseph and Rose Wawriw Scholarship is for new Freshman or transfer students with less than 11 college credits completed and who are in the top 1/3 of their high school graduating class. The Mary Wolchanski Endowment Fund established a partial-tuition scholarship in 1992. This scholarship is renewable as a Wolchanski/Basilian Scholarship. The John Woloschuk Endowment Fund established a partial tuition scholarship in 1995 to be awarded to one deserving Allied Health student each year. This scholarship is renewable as a Woloschuk/Basilian Scholarship. The Manor Divisional Scholarship was established to award a partial scholarship in each of the three major divisions of the College: Allied Health, Science & Math Division; Business Division; and Liberal Arts Division. Dr. Volodymyr and Lydia Bazarko established this partial scholarship in 2001. To qualify for this scholarship, the applicant must meet all Manor College requirements for a competitive partial scholarship with preference given to a student who can demonstrate that he of she is of Ukrainian descent. The Father Chlystun Endowment Fund established a partial tuition scholarship in 1983. Eligible recipients include Sisters of Saint Basil the Great, postulants and novices of the Sister of Saint Basil the Great, and, seminarians of the Ukrainian Catholic Church attending Manor College. Applicants must meet all requirements for Partial Scholarships. This institutionally-funded, competitive, one-year, partial scholarship will be awarded to a new student in each of the college’s academic divisions: Allied Health, Business and Liberal Arts. Candidates must have no more than 30 prior college credits, and complete a scholarship application with an essay on a given topic. Eligibility includes enrolling for a minimum of 6 credits/semester during the first year. This scholarship is not renewable, but upon completion of 30 credits at Manor College with a GPA of a 3.0, the student will be eligible for a Basilian Scholarship III (see above). Marlynn Alkins, Senior Associate Professor at Manor College, established the Eileen Freedman scholarship in memory of her sister, Eileen Freedman. 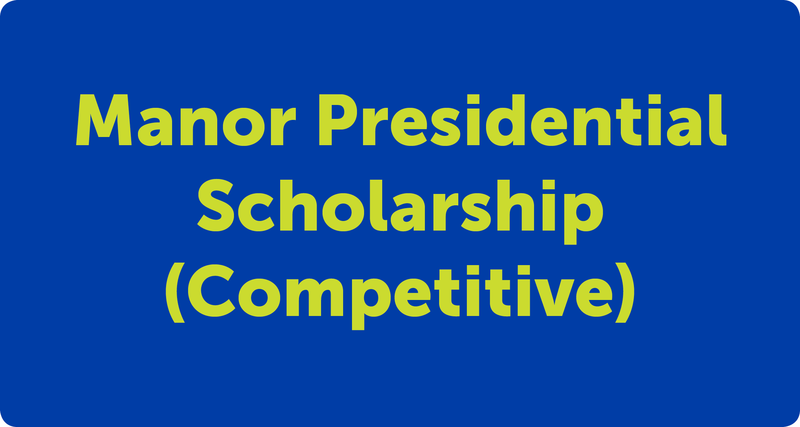 This scholarship is awarded to a student studying Allied Health that has completed his/her freshman year at Manor College with at least a 3.0 cumulative GPA. Professors in the Allied Health Division nominate the candidates. The Heritage Foundation of 1st Securities Bank established a partial scholarship fund in 2002 to be awarded to students from Ukraine enrolled at Manor College. The applicant must meet all requirements for Partial Scholarships. The Malko Family established this partial scholarship in honor of John and Helen Malko, in 1993. The applicant must meet all requirements for Partial Scholarships (competitive). Preference is given to a student who can demonstrate they are of Ukrainian desent and in financial need. One partial tuition scholarship will be awarded to an incoming full-time athlete with a minimum score of 900 on the SAT (SAT as of 3/05, CR+M must = 900) and a ‘B’ high school average. An applicant is required to submit the following: a scholarship application, an essay on a pre-selected topic and two written recommendations. The deadline for fi ling is August 1. This scholarship is renewable with the completion of 30 credits at Manor and a cumulative 3.0 GPA at the end of the student’s freshman year. The Sesok and Pizzini families established this scholarship in memory of Ann Sesok in 2003. Scholarship will be awarded to an academically qualified Manor College student, full time or part time, who majors in Medical Technology/Science. “Academically qualified” is a 900 SAT, ‘B’ or a 3.0, top one-half of graduating class. Student must carry a minimum of 9 credits at Manor College. The scholarship is renewable for the following year. This partial scholarship is awarded to graduates of St. Basil Academy who have shown strong academic performance plus a recommendation from their high school guidance counselor. This scholarship is given to children of Manor College Alumni. This scholarship awards students $500 per year. The student(s) must be enrolled in a degree-granting program of study. The scholarship is renewable upon the completion of 24 credits at Manor College and a cumulative GPA of 2.0. The student may receive this scholarship up to five (5) full time semesters. Several partial tuition scholarships are awarded to students with outstanding ability in the arts, theater, community service, or other endeavors which may be of service to the College community. Recipients are expected to complete service hours each semester as well as meeting the requirements of satisfactory academic progress to renew the scholarship award. Several full room and board scholarships are awarded to students serving as assistants to the Resident Coordinator. Contact Manor’s Student Affairs office for this award application. PACCA is still accepting scholarship applications for semesters within the current fiscal year. For more information or to find out how to get started, contact a Scholarship Counselor at (717) 657-9000. Or download application at https://www.pacca.org/how_to_apply.php. There are many special assistance programs that offer scholarships to students. Students may qualify for one of these ‘programs’ through religious affi liation, ethnic heritage, parents’ employers, organizational memberships or a special talent. Knowledge of these ‘programs’ is available through books and pamphlets on scholarships and fi nancial aid in your school, local library or the Web.